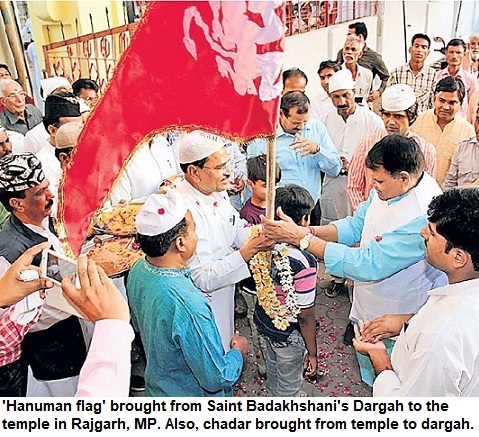 Indscribe's Blog: News and Views about Indian Muslims: How RSS and other Sangh Parivar outfits escape terrorist tag? How RSS and other Sangh Parivar outfits escape terrorist tag? The TV Today group's English channel Headlines Today aired the sting operation that showed top Rashtriya Swayamsevak Sangh (RSS) leader Indresh Kumar's involvement with Hindutva-inspired fanatics. Enraged, Sangh parivar workers attacked the channel's office and went on rampage. The sting operation was more shocking as a former BJP member of parliament was also caught on camera and a failed plot to target Vice-President Hamid Ansari at a function in Jamia Millia University was mentioned. The fact that Indresh is not a fringe activist but top leader and close to RSS chief makes it even more serious. The BJP, which is the main opposition party takes orders from the Sangh, and is always ready to shield its masters. During the investigation into Mecca Masjid, Ajmer Dargah and Malegaon blasts, already role of several RSS workers was found. Since independence, starting from Gandhi's killing, the RSS cadre was involved in numerous communal riots. The report clearly shows that Pune-based chemistry professor held camps to impart training to radicals, a Delhi-based prominent doctor Dr RP Singh bought arms & ammunition and planned terror strikes while top RSS-BJP leaders were discussing that they had no faith in constitution. Now once again, it's proved that there is a strong militant and anti-national group in RSS. But why no one even dares to take on Sangh Parivar. Why it's not termed a terror group? How its top leaders manage to get away by claiming that a few fringe persons may be involved when any other organisation that gets involved in one incident, is dubbed terror group. Take for example the recent incident in Kerala where a newly floated political party PFI was demonized and almost dubbed as terror group for one incident in which a professor's palm was chopped off by its activist. Despite PFI leaders openly condemning it, there were raids on party offices and a witch-hunt followed. In case of RSS, Bajrang Dal and Shiv Sena there is never any raid or sustained interrogation. Ram Sene leader Pramod Muthalik was caught on camera claiming that he could set off a communal riot for a fee but there was no action against his group. 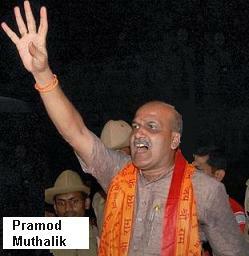 Babu Bajrangi became a face of militant Hindutva in Gujarat and confessed that he murdered women and raped them. But he wasn't touched. While Muthalik and Bajrangi were active in states ruled by BJP, the Shiv Sena and MNS have done the same in Congress-ruled Maharashtra where outsiders including Biharis and UP-ites have been targeted and yet the parties escaped the terror tag. On Friday, a group of Shiv Sena activists brutally beat up Karnataka politician Syed Mansoor and other leaders of Seema Rakshan Vedike over the claim of Maharashtra on Belgaum district and blackened his face in a Zee TV channel's office in Kolhapur. Shiv Sena leader Sanjay Raut termed the action as correct. The offices of these groups aren't raided, their connections are never investigated and their leaders who openly pour out venom are not booked. It is no surprise that the radicals are getting bolder and bolder by the day, so much that they are even targeting Vice-President and planning to overthrow the state. If SIMI operatives were involved in terrorism and it was banned, why not RSS and Bajrang Dal after all they also have their activists involved in terror plots? PFI's freedom march was banned but despite open display of arms, firing gunshots and holding training camps for years, Bajrang Dal or even Sanatan Sanstha is not reined in. Firstly, today BJP has strong presence across the country and every step against RSS is strongly opposed by its workers. The party terms it political vendetta and goes out of the way to defend terror accused, just like its leaders targeted late Hemant Karkare. Especially, when the Congress govt is firmly in saddle why should investigation be sped up as it may force BJP in a combative position or anger sections of majority community. A top bureaucrat had reportedly asked the investigators to go slow in Samjhata Express blast case. There is a fear of the so-called Hindu votebank and the fact that a section of majorty community may not like strong action. Lack of activism among educated and secular middle-class is another reason. Besides, there are few NGOs or individuals who decide to file cases, take legal action against fanatic groups and then pursue the cases. In the last several decades, pro-Hindutva elements have infiltrated several institutions. They include agencies that are vital in keeping tab on the anti-national forces and destructive organisations within the country. A single officer posted at a key place can sabotage the entire investigation. Journalist Ashish Khetan, who did the breaking story in Mail Today apart from the sting operation in Headlines Today, says that there were attempts to botch up investigation from various quarters and after ATS chief Hemant Karkare's death, officers were reluctant to pursue cases because of the feeling that nobody wanted to burn their fingers. The role of Saffron outfits in communal carnages like anti-Christian violence in Orissa's Kandhamal, Karnataka and numerous anti-Muslim pogroms is well-known and documented. RSS and Bajrang Dal were running the risk of getting dubbed terrorist groups in America after attacks of churches. It's time that the government understands the seriousness of the issue. Just like SIMI, it should ban extremist Hindu organisations. BJP should also accept the reality, make its position clear and get rid of the fanatics from within the organisation.